MSE Creative Consulting Blog: Talk About a Pattern Change! B = below normal temperatures. For more than a week, I have been writing about a major change to the weather pattern across the Central United States. 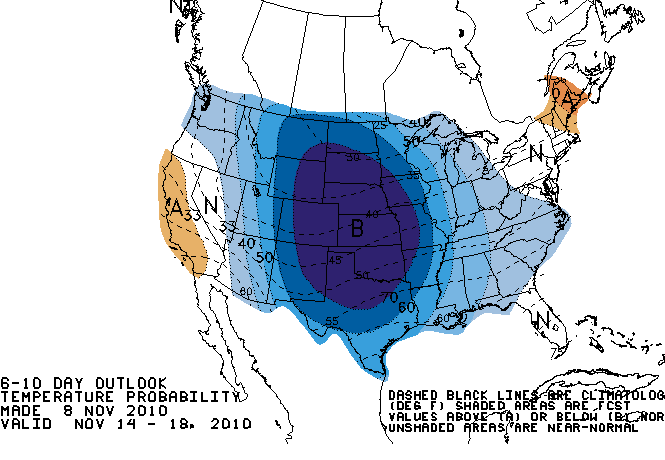 The above graphic shows MUCH colder than normal temperatures next week. Considering that temperatures today are as much as 25 degrees above normal in this region, it will seem like quite a change.